File image of Assam Chief Minister Sarbananda Sonowal. According to a Government press release, Ramendra Narayan Kalita, MLA, has been appointed as Chairperson of Assam Electronics Development Corporation Ltd. in the rank and status of Cabinet Minister, Emmanuel Mosahary, MLA has been appointed as Chairperson of Assam Small Industries Development Corporation Ltd. in the rank and status of Cabinet Minister. Rama Kanta Dewri, MLA, who openely expressed his displeasure for not being offered berth in the expanded Sonowal ministry, has been appointed as Chairperson of Assam Fisheries Development Corporation Ltd in the rank and status of Cabinet Minister while Naba Baishya has been appointed as Vice Chairperson of Assam Fisheries Development Corporation Ltd..
Ashok Singhal, MLA has been appointed as the Chairperson of Guwahati Metropolitan Development Authority in the rank and status of Cabinet Minister. Mukuta Deka has been appointed as Vice Chairperson of Guwahati Metropolitan Development Authority, Aminul Haque Laskar, MLA as Chairperson of Assam Minorities Development & Finance Corporation Ltd. in the rank and Status of Minister of State, Amidur Rahman as Vice Chairperson of Assam Minorities Development & Finance Corporation Ltd., Dr. Numal Momin, MLA as Chairperson of Assam Urban Water Supply & Sewerage Board in the rank and status of Minister of State. Niren Baishya has been appointed as Vice Chairperson of Assam Urban Water Supply & Sewerage Board, Gurujyoti Das, MLA as Chairperson of Assam State Development Corporation for Scheduled Castes Ltd. in the rank and status of Minister of State, Swapan Mondal as Vice Chairperson of Assam State Development Corporation for Scheduled Castes Ltd., Ashwini Ray Sarkar , MLA as Chairperson of Assam State Development Corporation for Other Backward Classes Ltd. in the rank and status of Minister of State. Krishna Moni Chutia, BJP member and a popular singer, who recently became vocal against the BJP, has been appointed as Vice Chairperson of Assam State Development Corporation for Other Backward Classes Ltd., Dipak Kumar Rabha, MLA as Chairperson of Assam Apex Weavers and Artisans Cooperative Federation Ltd (ARTFED ) in the rank and status of Minister of State, Rupa Kaman as Vice Chairperson of Assam Apex Weavers and Artisans Cooperative Federation Ltd. (ARTFED ). Prabin Hazarika has been appointed as Chairperson of Assam Seeds Corporation Ltd., Alok Ghosh as Chairperson of Assam Linguistic Minority Development Board, Ashok Battaroy as Chairperson of Assam State Transport Corporation, Haricharan Boro as Vice Chairperson of Assam State Transport Corporation, Diganta Ghatowar as Chairperson of Assam State Warehousing Corporation. Rumi Goswami has been appointed as Vice Chairperson of Assam State Warehousing Corporation, Amia Bora as Chairperson of Assam Tea Corporation Ltd., Simanchal Dighal as Vice Chairperson of Assam Tea Corporation Ltd., Bubul Das as Chairperson of Assam Trade Promotion Organisation, Dilip Das as Vice Chairperson of Assam Trade Promotion Organisation, Lonki Fangso as Chairperson of Assam Hills Small Industries Development Corporation Ltd., Banani Kemprai as Vice Chairperson of Assam Hills Small Industries Development Corporation Ltd., Sonu Roy as Vice Chairperson of Assam Minerals Development Corporation Ltd.
Shivji Dubey has been appointed as Vice Chairperson of Assam Hydrocarbon Energy Company Ltd. and Kamal Deka as Vice Chairperson of Assam Plantation Crop Development Corporation Ltd.. Meanwhile, Chief Minister Sonowal has also given approved appointment of two retired Chief Secretaries of Assam. Vinod Kumar Pipersenia, IAS (Retd) as chairman, APDCL, APGCL and AEGCL in the rank and status of Chief Secretary for a period of two years with effect from taking over charge vice Jishnu Baruah and T.Y. Das, IAS (Retd) has been appointed as Chairperson of 6th Assam Finance Commission in the rank and status of Chief Secretary. Four persons have been appointed as Director in the Board of Directors of Assam Power Generation Corporation Ltd. They are – Nitya Bhushan Dey, Sankar Das, Anup Singh Rajpurohit and Bhaben Sarma. Two persons have been appointed as Director in the Board of Directors of Assam Power Distribution Company Ltd. They are – Dr. Pradip Thakuria and Tarun Baruah Moran. Three persons have been appointed as Director in the Board of Directors of Assam Electricity Grid Corporation Ltd. They are – Mahendra Konwar, Hemchandra Doley and Adyut Phukan. 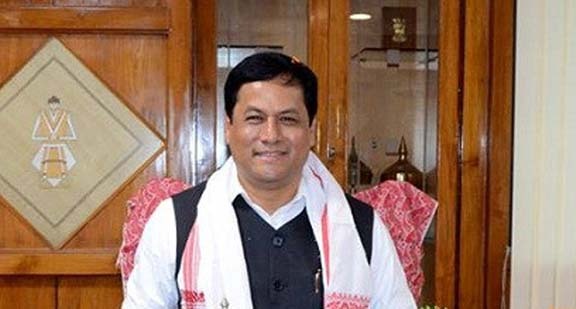 Chief Minister Sonowal also approved appointment of four persons as Director in the Board of Directors of Assam Minorities Development & Finance Corporation. They are Abdul Subhan, Jonab Matiur Rahman, Tobibur Rahman and Rahim Zibran.